What are Social Media cards? Social media cards make your content more engaging by adding images & summaries when you share your content in social media feeds. Most sites are still not using Twitter cards. This allows your content to be set apart from the crowd. 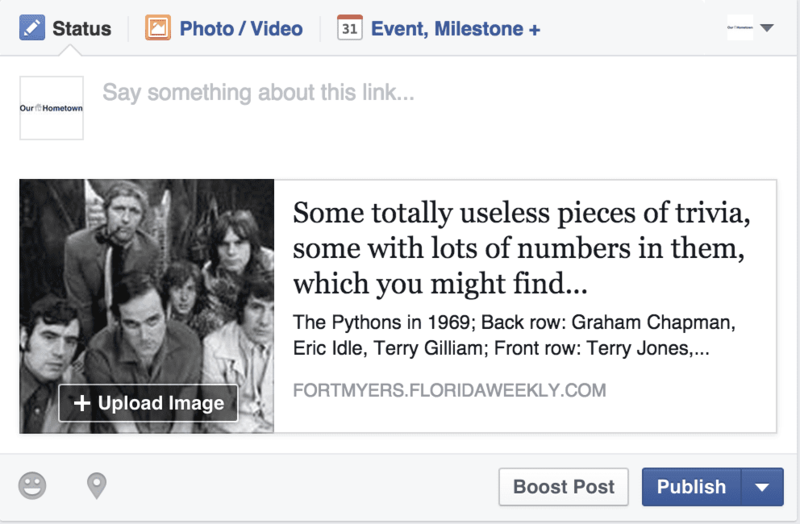 Facebook usually pulls images & content from links, but cards allow you customize the image shown with your story link. Average CTRs on social media vary anywhere from .5% to 3%. Social cards allow visual images to be attached to your shareable content. On Facebook, that can increase the likelihood of engagement by about 80%. The same is true for Twitter. Images will help your content stand out in the Twitter stream, resulting in more engagement & increased traffic to your website. Get up to 200 more characters to summarize your content in addition to the 140 characters of your tweet. Cards are attached each time the link is used from any account. This lends credibility to your content & can also increase followers on your account. The image use in your social sharing does not actually have to be on the page, but it should represent your content well. The image allows you to control what people see when your content is shared, so it's important to use quality images. Every social platform has different standards for sizing. Typically, it's easier to keep it simple & choose one image size that will work for all services. Twitter & Facebook analytics reveal how you can improve key engagement metrics such as URL clicks, shares & retweets. While Facebook automatically measures your page's posts' stats & interactions, Twitter initially runs through Our Hometown's Twitter analytics, until you give us your publication's Twitter account to send statistics to. Make Your Content Stand Out! As you can see here, not everyone has social cards enabled on the content they share, and having some sort of media with your post definitely makes it stand out in a feed mostly filled with text. If you have any questions on what your data means, we're happy to help guide you through looking at it or point you to our on-site resources. We ensure you stand out when sharing your content. If you have any questions or want to learn more, please contact us today.